This configuration of the Hydra is set up as a 7.62 x 39. It includes the MGI® Modular Lower Receiver with a 7.62 x 39 (AK-47) Magazine Well, an AK Magazine, the MGI® Quick Change Barrel Upper Receiver (QCB-D), a 16-inch 7.62 x 39 Barrel with a Low Profile Gas Block, and the MGI® Modified Bolt Carrier with the MGI® Enhanced 7.62 x 39 Bolt and Firing Pin (EAK), the MGI® D-Fender D-Ring for increased reliability, and a Standard M4 Profile Six Position Mil Spec Stock. 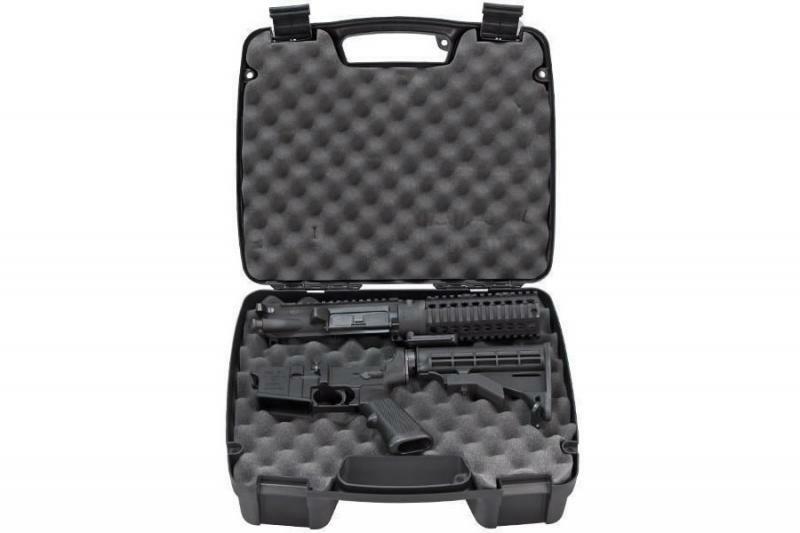 Everything comes packaged in a Standard Hard-Sided Lockable Pistol Case. With this base rifle, you can purchase and utilize the rest of an ever-growing system including our various magazine wells and caliber conversions. To convert this system to another caliber, the most you will need to change is the barrel, bolt, and magazine well to the desired caliber. With caliber conversion kits readily available, this weapon system continues to grow and become the most versatile Black Rifle platform the industry has ever seen. This rifle is designed to use standard Warsaw Pact metal magazines and Thermold polymer magazines. Bullet Button Option is required.